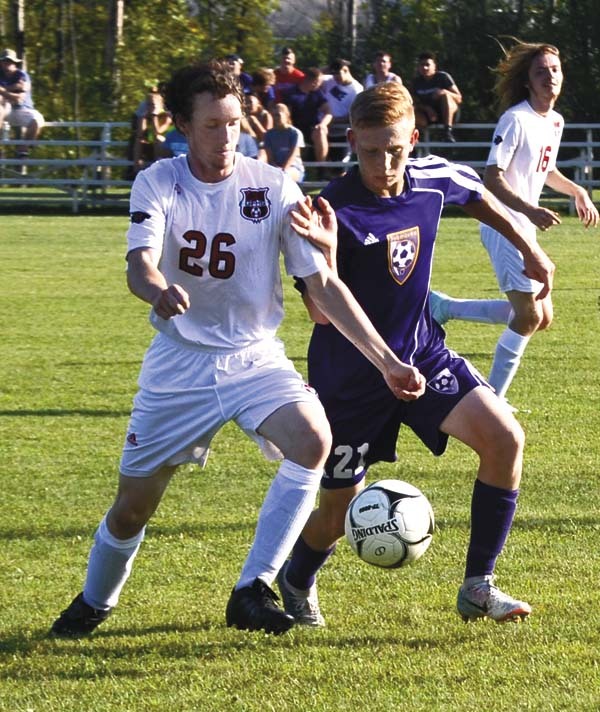 JOHNSTOWN — Cyrus Guillet scored twice to lead Glens Falls to a 3-2 victory over Johnstown in a Foothills Council boys soccer game at Johnstown High School on Wednesday. Seth Davis also scored on an assist from Guillet. Spencer Williams and Ringo Hartenberg each had an assist for the Indians (1-0 overall, 1-0 Foothills). Charlie Brown made two saves for Johnstown. Ben Difiore made four saves for Glens Falls, while Josh Hoyt made three stops for Johnstown. 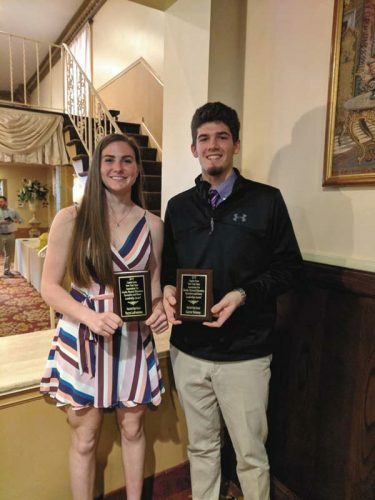 The Sir Bills are scheduled to host Gloversville on Friday at 7 p.m.
BROADALBIN — Teddy Borgos scored twice to lead Queensbury to a Foothills Council victory over Broadalbin-Perth at Patriot Field. Brendan Duffy also scored for Queensbury (3-1 overall, 1-0 Foothills), while Lucas McCane and Ray Jones each had an assist. Ethan Willis made three saves to post the shutout in goal for the Spartans. John Marsden made 15 saves for Broadalbin-Perth (0-1 overall, 0-1 Foothills). 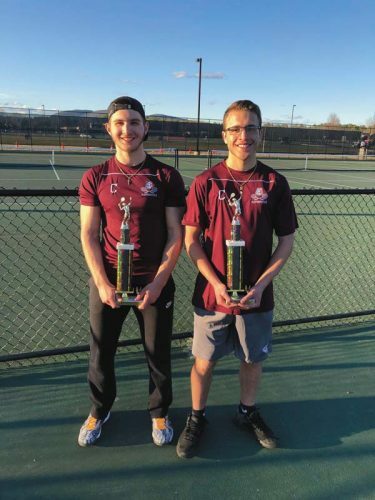 AMSTERDAM — Ian Winchell, Christian Petralia, Jared Everleth and Matt McCarthy scored to lead Schuylerville to a Foothills Council victory over Amsterdam at Lynch Literacy Academy. The Black Horses also benefitted for an Amsterdam own goal. Drew Phillips earned the shutout in goal for Schuylerville, which outshot Amsterdam by a 9-0 margin. 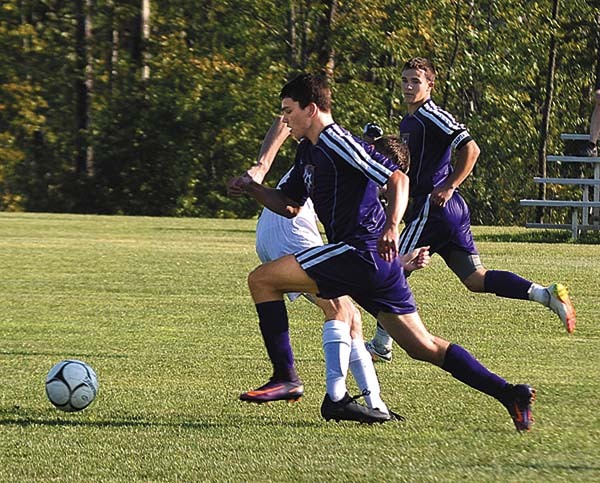 Ian Healy made five saves for Amsterdam (0-1 overall, 0-1 Foothills), which is scheduled to host Scotia-Glenville on Friday at Amsterdam High School at 4:30 p.m..
SOUTH GLENS FALLS — Andrew King scored the game’s lone goal on a Bobby Bruschini assist to lead South Glens Falls to a Foothills Council victory over Scotia-Glenville. Sebastian Maynard made five saves to host the shutout in goal for South Glens Falls (1-2 overall, 1-0 Foothills).